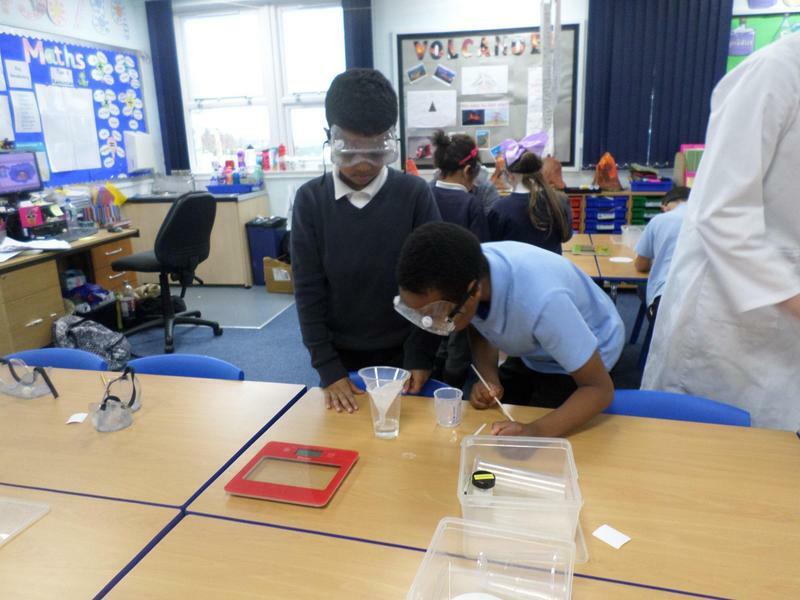 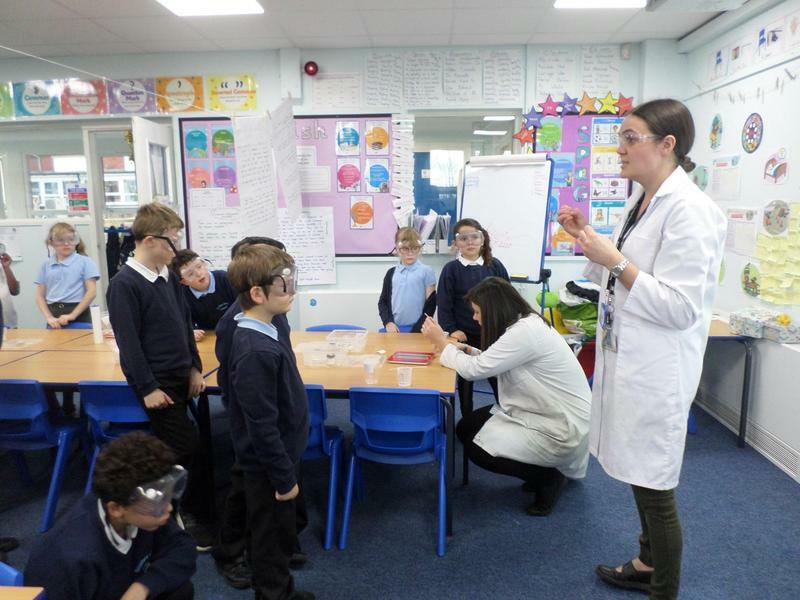 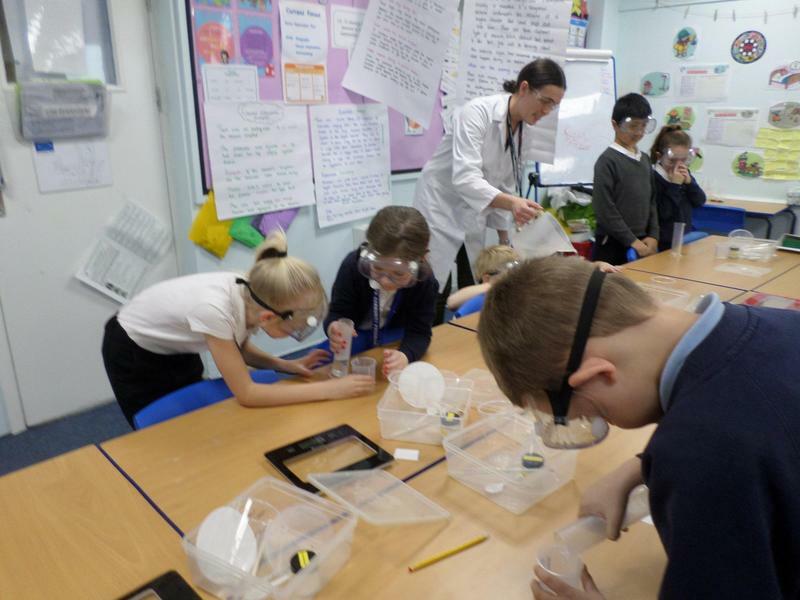 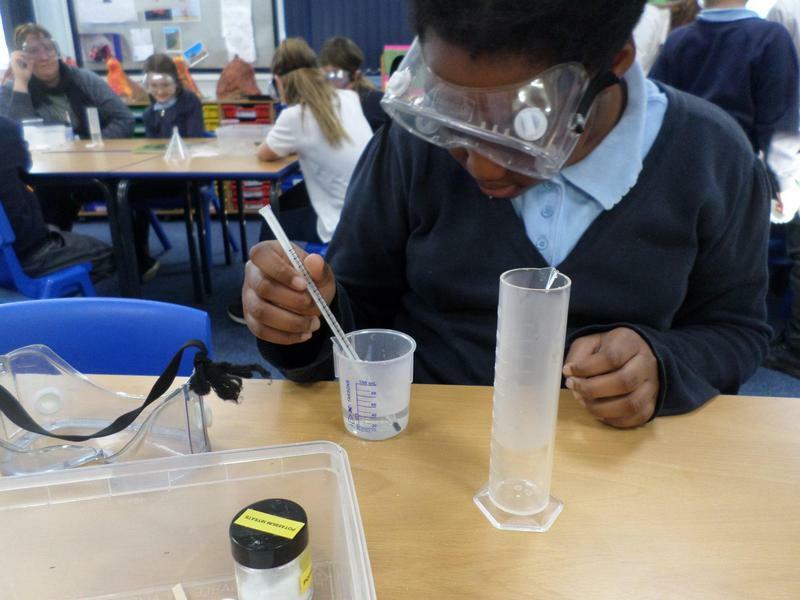 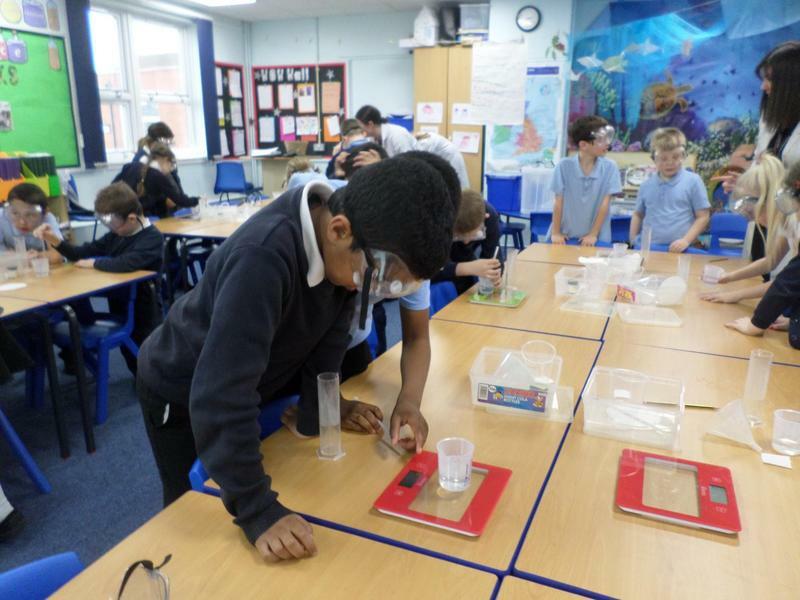 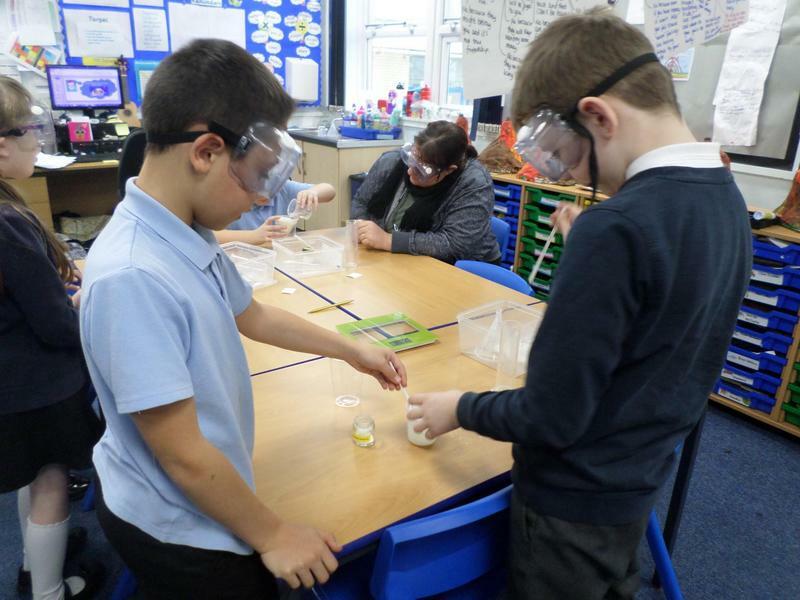 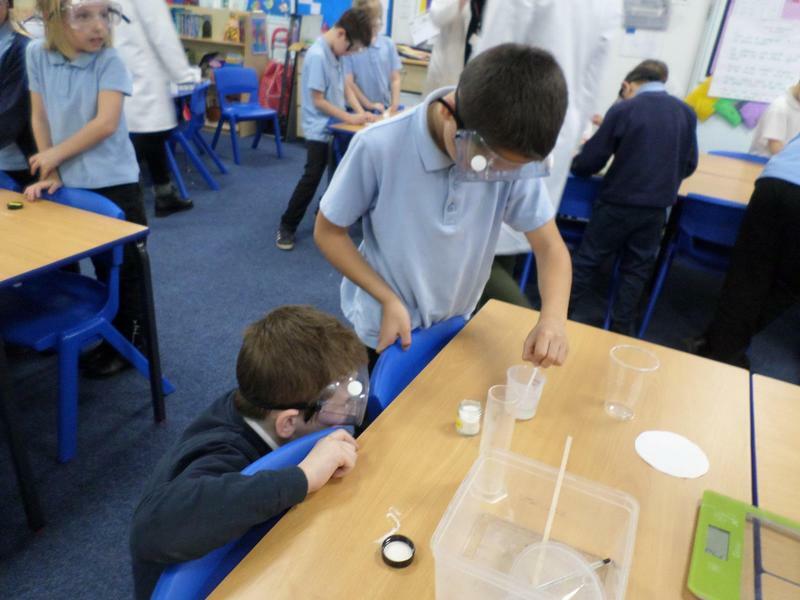 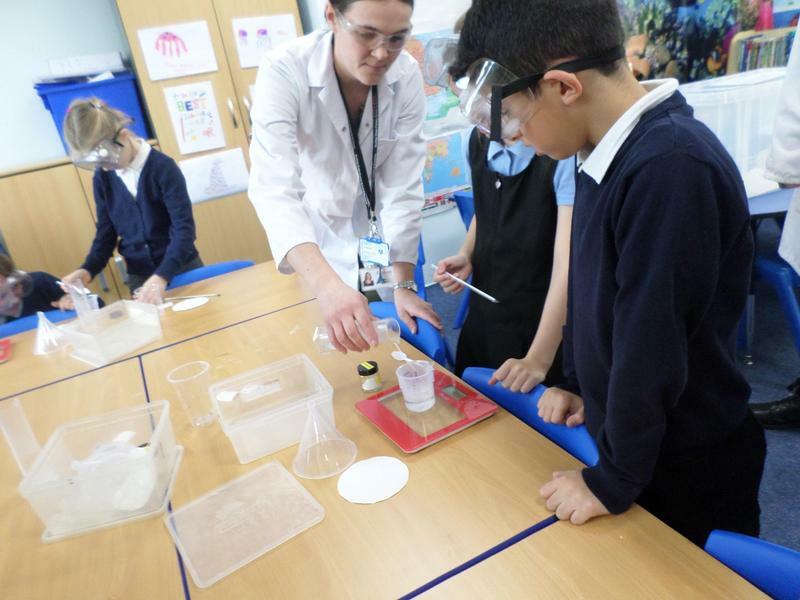 To support our understanding of rocks we carried out an investigation with the help from science teachers from Tapton School. 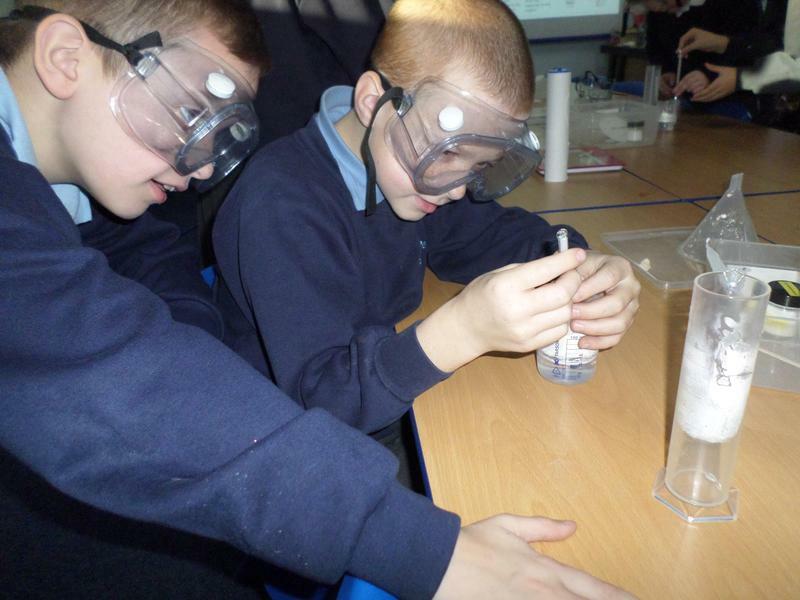 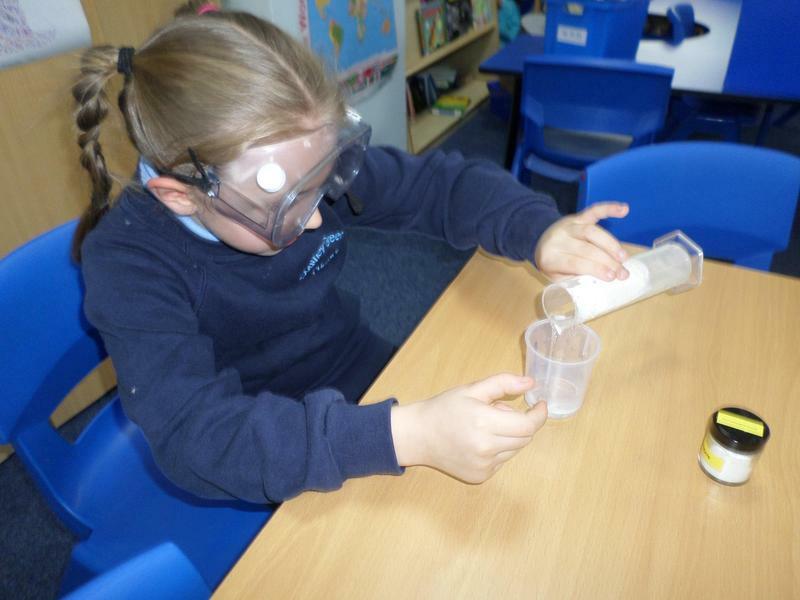 We made our very own crystals by using salt. 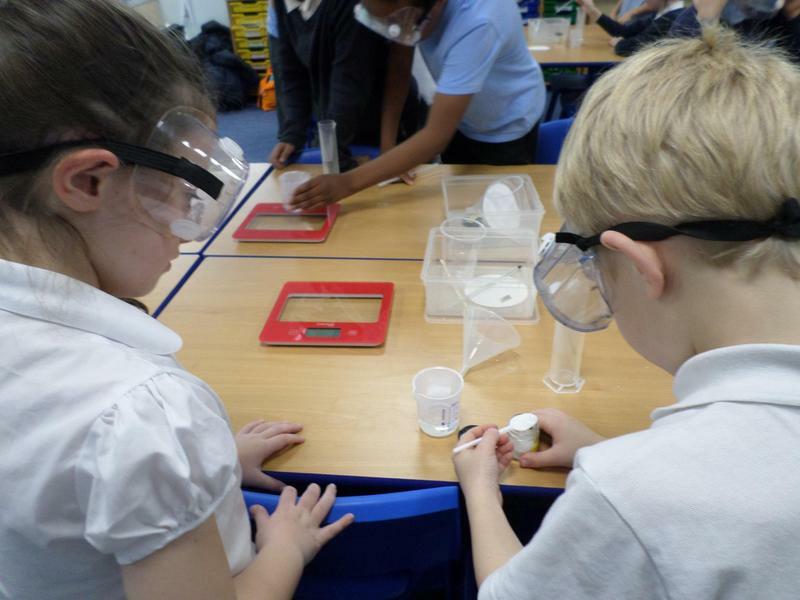 We used warm water to dissolve the salt until we made a saturated solution. 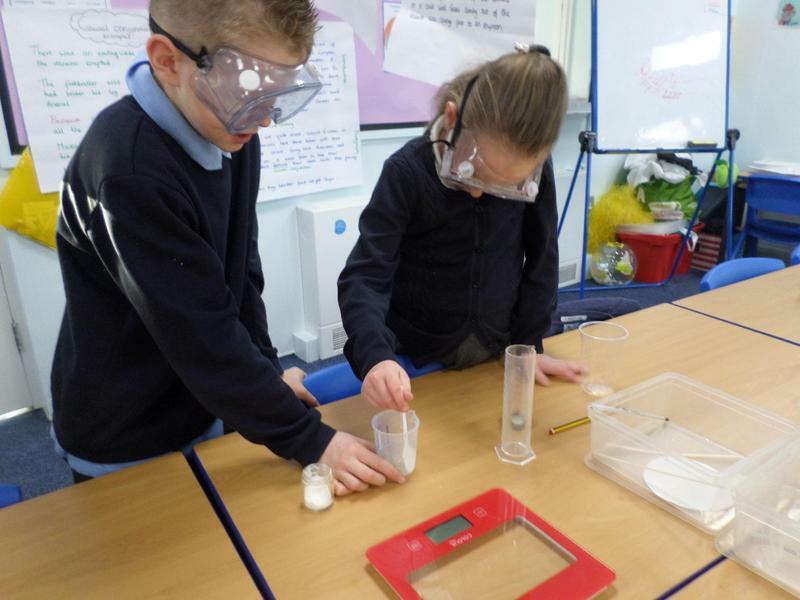 We needed to be very careful measuring the equipment to make sure it would work and we used the new scientific vocabulary correctly. 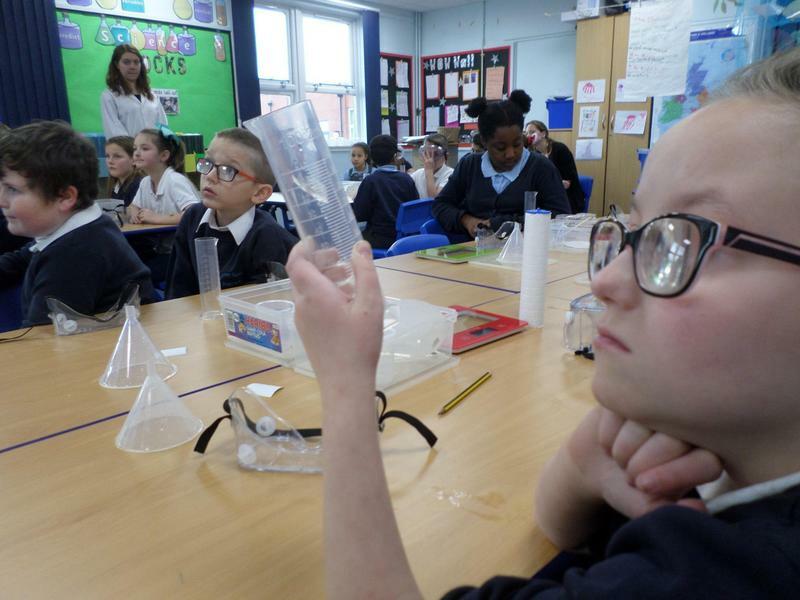 We left the solution over time and watched the crystals grow!